The Honey Bee Waggle Dance was first described in the 1920s by Karl von Frisch, who won a Nobel Prize for his work. 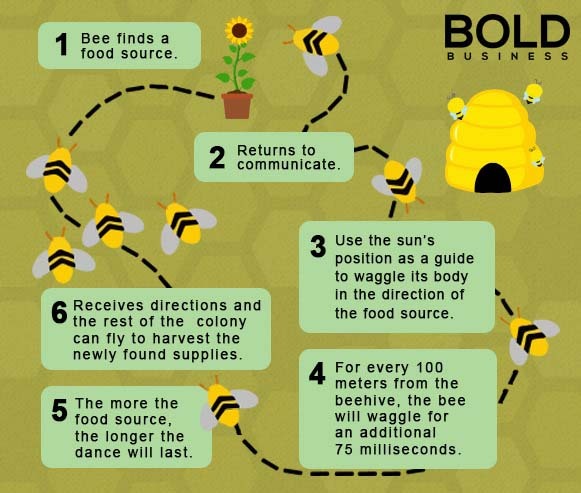 The dance allows honeybees to communicate the location of food in a highly sophisticated “language” or code. Through this code a bee can give the exact location of food so that other bees can follow. This was incredibly interesting to researchers involved in coding, communication, and machine learning. How could a simple creature like a bee, convey so much information in a dance? Once spotted, the neural network focuses on the bee and its dance and algorithms compute the dance’s orientation and length in order to calculate the location of the food source. Unlocking the details of the dance, and the way in which the dance is learned and passed on from generation to generation, has kept researchers busy for nearly a hundred years. Not only was it important to keeping and maintaining a healthy bee population, it offered important clues into learning, coding and language. But there was a catch, not all bees were doing the dance at all times, and it took human watchers an incredible amount of dedicated time to spot a dance and then decode and understand it. A group of researchers in Germany decided to apply camera vision and machine learning to the problem, under the leadership of Tim Landgraf at the Free University of Berlin, Germany. The team of researchers created a neural network that is able to automatically detect, decode, and map the communication dances of these honeybees. This development has the potential to transform the way honeybee foraging is studied. What ordinary people see as a random motion is actually a very intricate dance. The honeybee waggles from side to side at a rate of 13 hertz as they move forward in a straight line. The bee then circles back to its starting point. What is amazing is that the dance is oriented relative to the sun and gives specific directions on the direction of the food source. How long the dance lasts has is proportional to how far this food source is. The honeybee’s waggle dance is decoded primarily using a video camera that records the movements of the honeybees. Landgraf’s team created a machine vision system that is able to search through the video images for the 13-hertz waggle dance. Once spotted, the neural network focuses on the bee and its dance and algorithms compute the dance’s orientation and length in order to calculate the location of the food source. 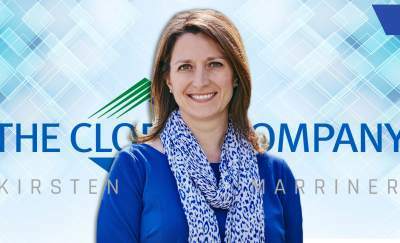 Landgraf’s team was able to achieve 90% accuracy on tests they have conducted. Eventually, the team’s machine vision system can work with larger hives and over a longer period of time. The system can be tweaked to and refined to achieve higher accuracy. Scientists all over the world stand to gain a lot from the work that Landgraf and his team has accomplished. The neural network and machine vision system will allow biologists to study multiple bee colonies in different regions. This can also allow them to watch as crops are pollinated by honeybees, and possibly intervene when things are not going well. Ultimately, this technology can have a bold impact in preventing colony collapse disorder, and will be used for a host of other machine learning applications. 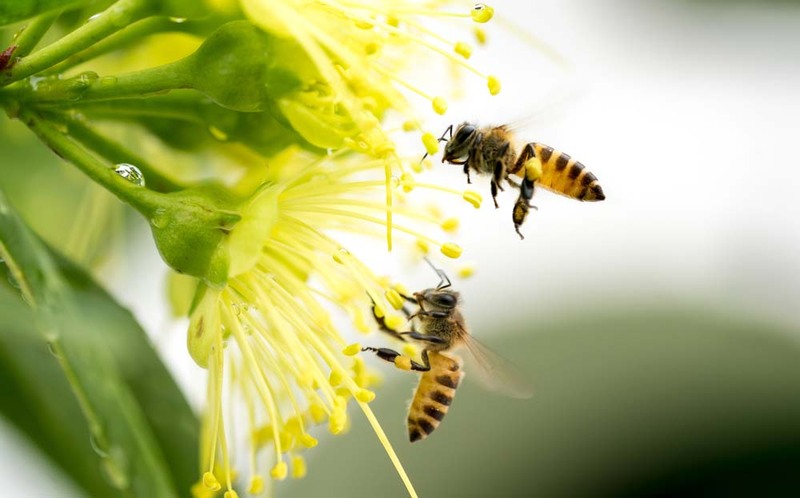 The world’s food supply still relies on the work of honeybees in pollinating plants and crops. At a time when the world needs food stability more than anything else, ensuring the continued presence of honeybees is of utmost importance. The neural networks may just be the beginning of a deeper understanding of bee behavior.